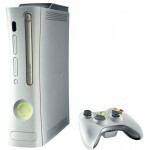 Target has already dropped the price of the Xbox 360 in an “in-store only” promotion. The company ran an advertisement setting the price at $299 for the Xbox 360 (without any games.) Other retails are following suit. Microsoft is expected to lose up to $75 per unit, as analysts at UBS Securities say they will pay manufacturers up to $375 for each unit. Worth noting is that Target is also selling pre-owned 360 units with a free NCAA March Madness 07 game. As of the time of this article, there were pre-owned Xbox 360s for $224.99. View the online listing at Target.